“We had a neighbours large gum tree fall on our business premises after a storm in Sydney. When we looked at the roots it looked like it had rotted. We called Brad Anderson from The Termite Specalists. He came over immediately – I was impressed as it was a Sunday morning. He proceeded to drill and test the tree and determined that the rot was not due to termites – thank goodness! It was such a relief as if it had been due to termites our concern was that they would have moved into our premises – we operate from an commercially zoned old estate home which has lots of timber in it – termite food! Brad has inspected all 3 of our premises for many years and given us advice and support to take care of our property. “We live on a steep bush block. We discovered termites under our dishwasher last summer. They were rapidly destroying our kitchen floor! We contacted The Termite Specialists and they came the very next day. Brad was very thorough in his assessment of our termite problem, gave us a clear and sensible plan of action and we not only got rid of the termites but now have a clear plan for prevention with a chemical barrier and surveillance. 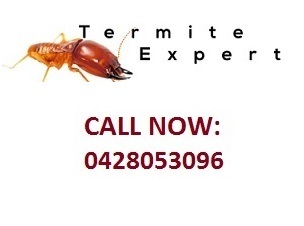 We would highly recommend The Termite Specialists. “Who would have guessed that our brick home could fall victim to a termite infestation!? We live in a leafy suburb so we built a brick home and considered ourselves to be ‘termite-proof’. Boy, were we wrong!